What are you playing this Thanksgiving weekend? Howdy, Gameologinauts. We’ll be shutting down a little early this week to celebrate Thanksgiving, but rest assured, nothing can stop What Are You Playing This Weekend?! For some folks, this is some primo gaming time: a four-day weekend where it’s not only socially acceptable to eat yourself sick and collapse in front of a TV, it’s damn near mandatory. Whether you’re finally getting some alone time with one of the year’s massive blockbusters or gathering the family around a favorite board game, Thanksgiving is undoubtedly the perfect storm for a lazy gaming weekend. Me? Well, I’m going to continue on through Rise Of The Tomb Raider. I’m still early on, but I’m loving it so far—most of it, anyway. After 80 crafting-intensive hours of Fallout 4, I’m done with games asking me to break some crap so I can combine it with other crap to build better crap. 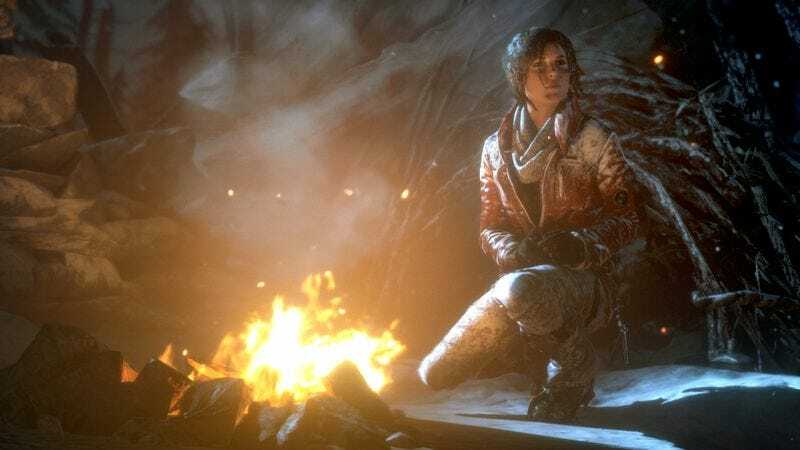 But when Rise leaves that tedium behind and forces you to sidle through a narrow passageway full of skeletons and scuttling scorpions, it feels more like a grand, dangerous Indiana Jones-style adventure than anything I’ve ever played, and for that, I’m willing to forgive some crafting and boring gunplay. Since this is Thanksgiving and all, I just wanted to take the opportunity to thank each and every one of you for your continued support of Gameological. Your comments and your spirit mean the world to me—to us—and I can’t possibly begin to tell you how thankful I am for the amazing community that’s sprung up around this weird little slice of the video game internet. Thank you for keeping it scintillating, and thank you for keeping us going. You’re the best. We’ll see you next week.